The Arabic alphabet has a fascinating history, one that is entwined with the development of culture and society in the Middle East. The authors trace the origins of the Arabic alphabet back to Aramaic, a descendant of Phoenecian, which itself gave rise to the Hebrew and Greek alphabets. 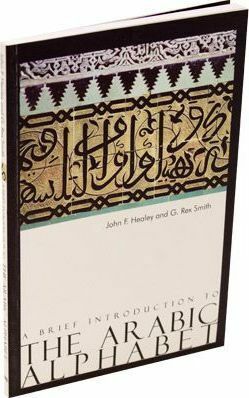 The third title in the series that offers a primer for both general readers and students alike, "A Brief Introduction to the Arabic Alphabet" is illustrated and contains glossaries, indices, and suggestions for further reading. John Healey is a professor of Semitic studies at the University of Manchester. Rex Smith is an Arabist, historian, and scholar of the medieval history of Yemen.